The Big Bang Theory season 12 episode 16 video: See William Shatner, more! Thursday night’s The Big Bang Theory season 12 episode 16 is far more than just your typical episode of the CBS sitcom! Do you want to know The Big Bang Theory season 12 episode 16 return date on CBS, coupled with details on what’s next? The Big Bang Theory season 12 episode 15 video: Who’s being seduced? Want to know some of what’s coming on The Big Bang Theory season 12 episode 15? Well, apparently seduction could be a big part of it. Want to know what’s coming on The Big Bang Theory season 12 episode 15? Well, a recent Leonard – Penny story is coming back. 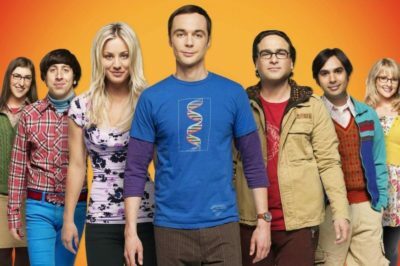 Following the upcoming The Big Bang Theory series finale, CBS is making one thing clear: They are happy to consider a spin-off. It’s taking twelve years to happen, but finally, William Shatner is going to be making an appearance on The Big Bang Theory. Do you want to get some more information on The Big Bang Theory season 12 episode 15? Then you’re in the right spot. Is The Big Bang Theory new tonight on CBS? We definitely understand the enthusiasm for more episodes, especially during the final season. Following tonight’s episode, do you want to get some news on The Big Bang Theory season 12 episode 14 air date?